This integrated course at Olin College is co-taught by an anthropologist and a designer, and stresses the importance of using anthropological methods to design the right product for a user. 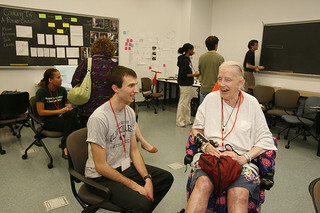 In the class, a team of students is partnered with community partners aged 65 or older. Throughout the semester, the students learn about aging and the difficulties encountered by elders through both a literature review and by interacting with the community partners. 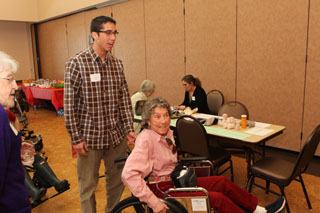 At the culmination of the semester, the students (in conjunction with the community partners) design and build solutions to reduce or eliminate some of the difficulties directly impacting the older community partners.